Specialized sealers, stains, finishes, preservatives and cleaners made for the unique needs of log, timber and wood-trimmed homes. A complete line of specialized chinking, sealers, stains, finishes, preservatives and cleaners made for the unique needs of log, timber and wood-trimmed homes. Choose the right sheen for your interior wood with our Lifeline Acrylic or Sure Shine gloss or satin finish. 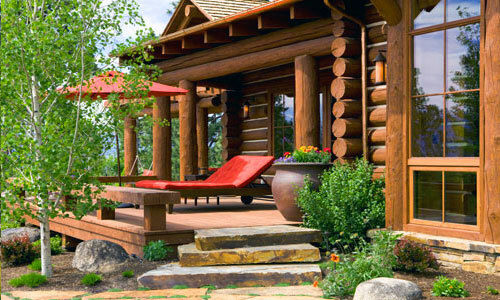 Get ready to be amazed with these inspiring images of log home interiors and exteriors. 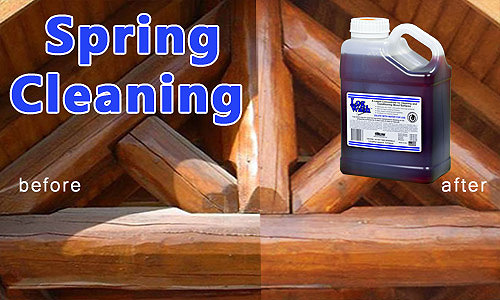 Log Wash is a liquid concentrate for cleaning log and wood surfaces. It can be used as a maintenance cleaner or to prepare the surface of wood for a new coat of stain or topcoat. Find How-Tos, Tech Tips, and Videos regarding our family of products. 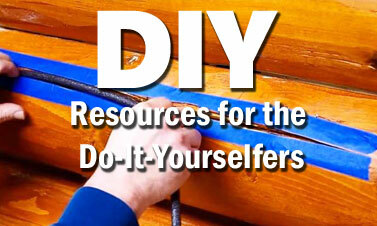 Restoration products to remove old finishes and make dirty or weathered wood look like new. Special purpose wood preservatives to protect against termites, insects, wood rot, mold and mildew. Beautiful wood finishes protecting your log home and bringing out the beauty of your exterior, interior, decks and millwork. Schedule an individual web training session. To receive a FREE PCS catalog by mail, go to our online store, add a catalog your shopping cart, and check-out. 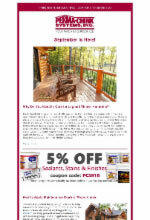 PCS Connections monthly email newsletters offer tips, techniques, and other information to help preserve and protect your log and timber home. Sign up today on the right side of this page if you don't already get PCS Connections. 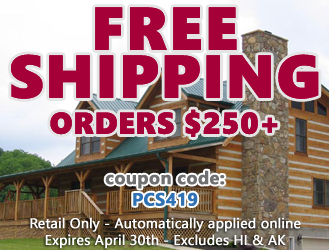 Although Perma-Chink Systems (PCS) is the largest manufacturer of log home chinking and sealants, we make a complete line of quality wood care products. Wood Finishes, Wood Preservatives, Wood Cleaners and Restoration Products all are Made in the U.S.A. In 1981 PCS introduced flexible chinking to the log home industry to replace what was the standard at the time - concrete mortar. This revolutionary product, Perma-Chink Log Home Chinking, looked like authentic mortar but stretched and flexed to accommodate log movement while maintaining a tight seal for the life of the house. Perma-Chink Systems is the log home building industry's trusted partner for the tightest, greenest, and most impeccably finished log homes in the world.